There are many areas in life where quality isn’t necessarily the most important aspect to consider when making a choice. Your legal representation simply just isn’t one of them. Legal matters can have far-reaching and serious ramifications that are best handled by an experienced, trustworthy, and proven attorney. 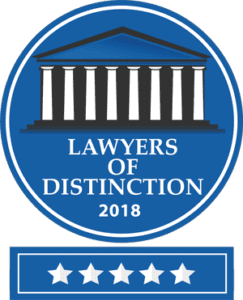 John F. Zeckel has been practicing law for over 30 years and has built his professional reputation on providing the high-quality counsel his clients deserve. There are scarcely any matters that can arise that are more important than the health and emotional well-being of your family. Because of the close bonds between you and those whom you love, family law cases can be exceedingly intense and contentious. We understand the nature of these issues and strive to provide compassionate client service while aggressively defending your rights and position against the opposing parties or courts. We handle all kinds of family law cases, including divorce, property division, alimony and maintenance, grandparent rights, and child custody. Whether you own many valuable assets or few, planning your estate is an important part of preparing for the future. Life is unpredictable and we never know what could happen next week or next year, so it is wise to get your ducks in a row while things are stable. Our firm can help you establish a strong will, durable or living trusts, powers of attorney, advance healthcare directives, guardianships, conservatorships, and more. Don’t leave your legacy up to fate — let us help you start planning today. Most wills are subject to probate, which is the legal term for settling and closing an estate after the estate trustee has passed away. This can be a confusing process to the layperson, which is why we strongly recommend working with a skilled probate attorney in the event you are named an estate executor and tasked with completing the legal probate process. We will help you notify all beneficiaries and creditors, pay off any debts, sell or gift property, and handle all other aspects to the letter of Wisconsin law. Whatever your legal issue, you owe it to yourself and your family to secure dependable and effective representation. Our firm has helped countless clients tackle their cases head-on and obtain positive outcomes. We are eager to the same for you! With decades of experience under our belt and a proven record of success, we are confident in our ability to provide the results you want and deserve. The Law Office of John F. Zeckel, S.C. provides trusted legal counsel to clients in Menomonee Falls, Waukesha County, and Washington County in the areas of family law, estate planning, and probate. Contact our firm today at (262) 255-2050 to schedule a free consultation with an effective lawyer.